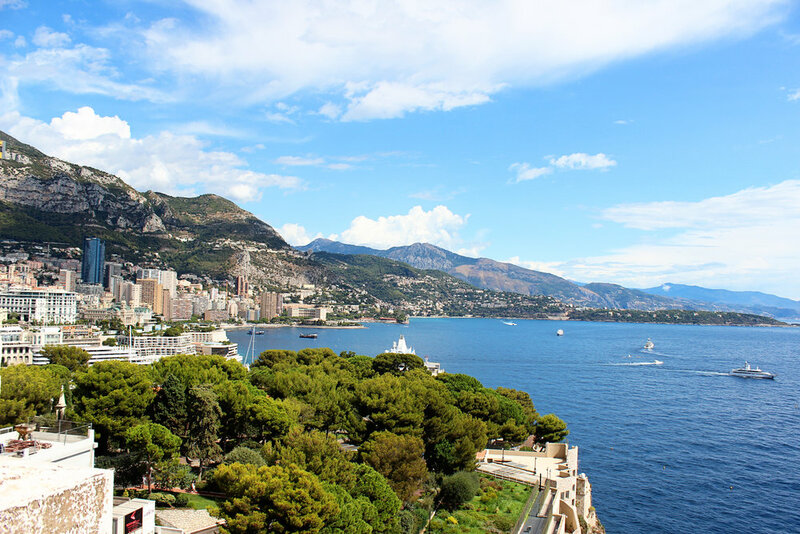 Stopping in Monaco was a last minute decision when we were in Nice. Markus wanted to visit the Musée Océanographique. 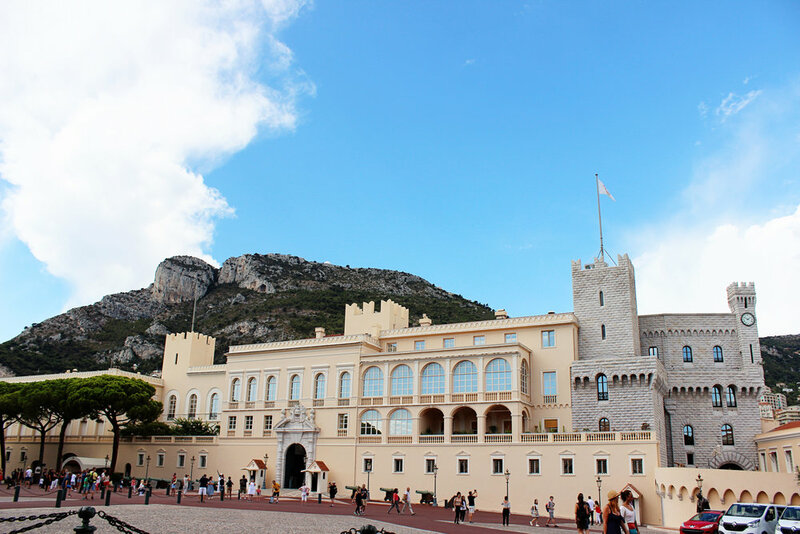 So I obviously agreed to a day trip to Monaco, which is only a 32 minute train ride away. 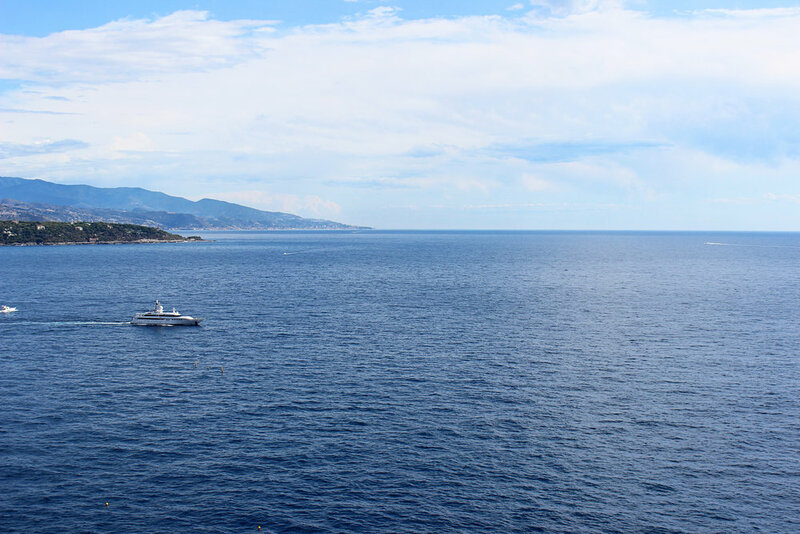 The ease of travel makes it the perfect day trip and almost criminal if you spend more than four days in Nice. 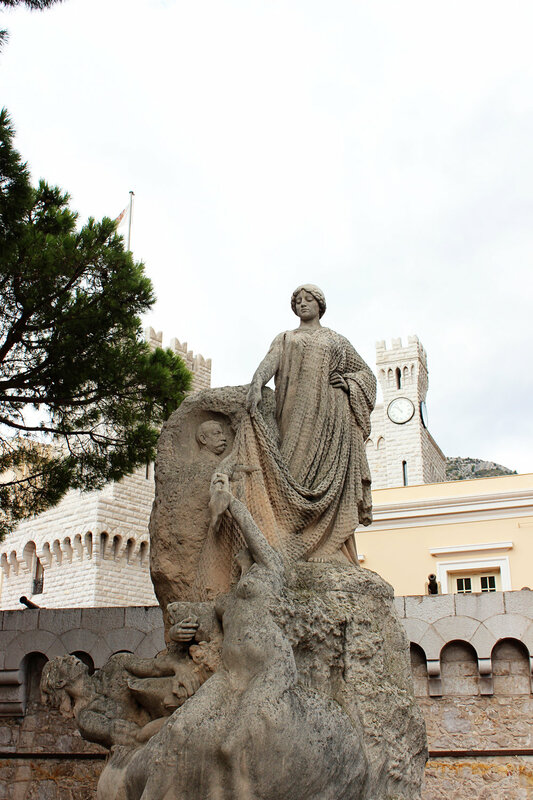 Many people don't know that Monaco is actually a separate country and only slightly bigger than Vatican City. Unfortunately or rather fortunately, it was an overcast and rainy day when we visited. So I didn't feel too bad missing out on a beach day. Since I grew up in Florida, I'm not easily impressed by coastal or beach cities, but let's be real, Monaco is not Florida. Obviously the country is a stunner. I loved the pink and coral hues of the buildings as well the beautiful architecture. 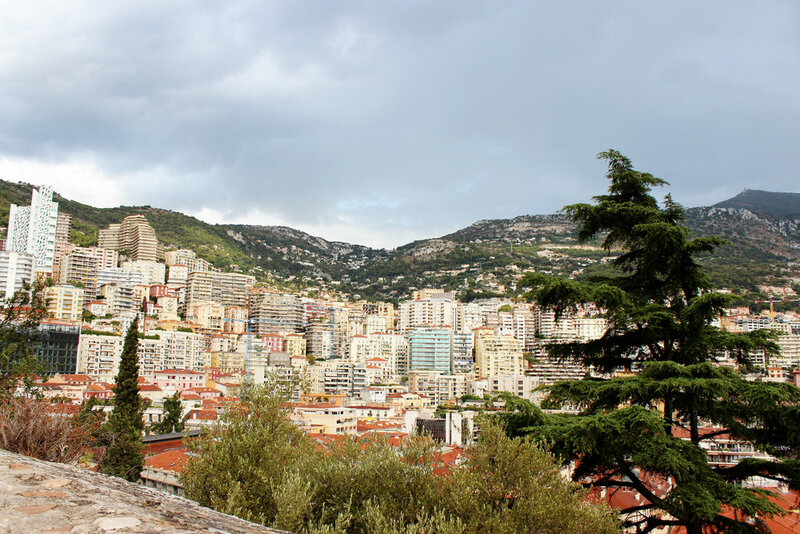 We only had enough time to hike up to Monaco City before we headed to the museum. The trek from the train station was a bit arduous in sandals, but it was worth it for the views of the city and the water! I wish that we had just a tad bit more time in Monaco, but I'm grateful we still made the trip.